Voices of Youth is an organization set up by UNICEF to help children from across the world exchange knowledge and ideas. 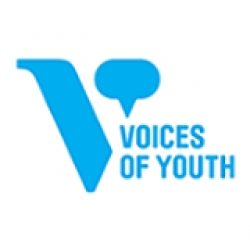 Voices of Youth was originally founded in 1995, as a way to relay messages from children in 81 countries to world leaders at the World Summit for Social Development. In 1997, the official Voices of Youth discussion boards (referred to as the "Meeting Place") were set up to allow young people to discuss child rights and development issues. To ensure that a wide range of people could participate, parallel forums were set up in English, French, and Spanish. At the same time, a "Learning Place" was established to give youths accurate and accessible information about child rights through quizzes, games and photo journals. A "Teacherâ€™s Place" was also established as a forum to help teachers and other young leaders exchange ideas and find ways to use Voices of Youth as a learning tool. In 2002, Voices of Youth was completely reorganized. After discussing possible changes with site users from across the world, the administrators reorganized the website into three sections: "Explore," "Speak Out," and "Take Action." In addition to the website, Voices of Youth also publishes a bi-monthly newsletter, â€œWhat Young People Are Saying.â€ In 2005, Voices of Youth added an Arabic mirror site to involve young Arabic speakers from around the world in the discussions about rights. In 2006, Voices of Youth launched the first ever webgame in Swahili about HIV and AIDS. The mission statement of Voices of Youth is "To offer all children and adolescents, including the hard-to-reach, a safe and supportive global cyberspace within which they can explore, discuss and partner on issues related to human rights and social change, as well as develop their awareness, leadership, community building, and critical thinking skills through active and substantive participation with their peers and with decision makers globally."